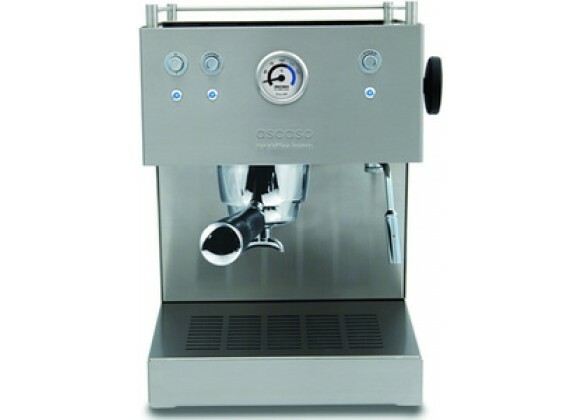 This is the same machine as the Ascaso Steel Uno Professional except that it has a smaller brass boiler (~225cc) and a 57mm portafilter grouphead and handle. This machine's three way solenoid valve only acts to relieve the pressure in the grouphead immediately after the extraction is complete. Approximate Unit Weight with portafilter: 25 lbs.